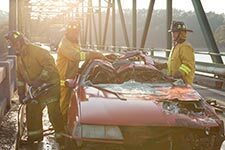 On the way home from a conference, Don Piper’s car was crushed by a semitruck that crossed into his lane. Medical personnel said he died instantly. While his body lay lifeless inside the ruins of his car, Piper experienced the glories of heaven, awed by its beauty and music. 90 minutes after the wreck, while a minister prayed for him, Piper miraculously returned to life on earth with only the memory of inexpressible heavenly bliss. Then his grueling recovery began. "Don Piper died Jan. 18, 1989, when a semi-tractor truck crushed his car. Declared dead by the first rescue workers to arrive on the scene, Don’s body lay under a tarp for the next 90 minutes. Don’s soul, meanwhile, was experiencing love, joy and life like he’d never known before. Don was in Heaven. When another pastor’s prayers helped bring Don back to life, he became a living miracle! Yet this is one miracle Don wished never happened. Heaven’s bliss was replaced by excruciating pain and emotional turmoil. With the support and prayers of his beloved Eva, their three kids and friends near and far, Don clings to his faith in God and fights to regain a semblance of his previous life. The Piper family’s incredible true story of perseverance and overcoming the challenges of life—and death—will bring hope and encouragement to all who see it." 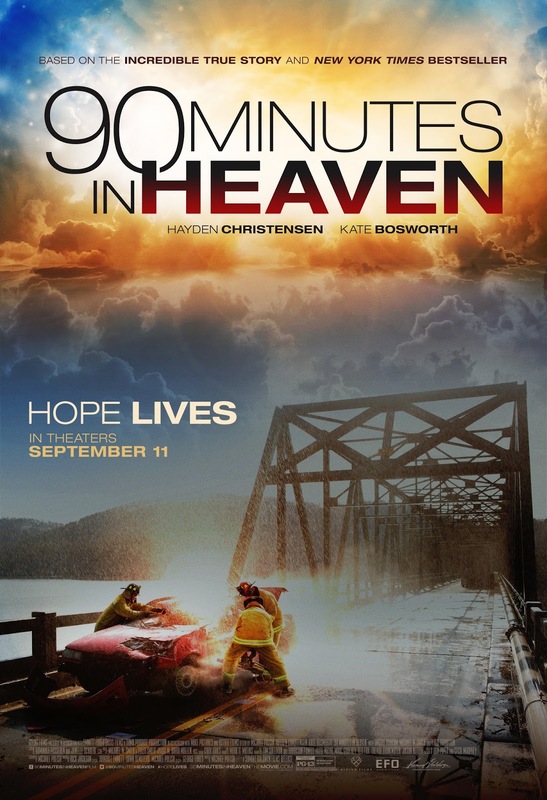 Starring Hayden Christensen and Kate Bosworth, 90 MINUTES IN HEAVEN is based on the inspiring New York Times best-selling book that has sold 7 million copies. In theaters everywhere this fall, Hope Lives! Charitable giving is very important to me and Giving Films is passionate about "sharing hope-filled movies and donating ALL of their profits to charities and ministries who serve those in need". 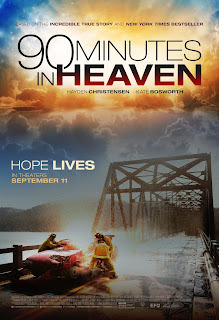 In a generous move, starting with their first major motion picture, 90 Minutes In Heaven, Giving Films is giving each one of us the opportunity to become involved by making a difference. Anytime you support a Giving Films movie in theaters, visit http://www.givingfilms.com and select the charities you choose to receive the profits from the purchase of your ticket. Included in their charitable organizations are Christian Alliance for Orphans, Faith Bridge Foster Care, Hire Heroes USA, Hope International, LifeWater, Street Grace, and World Vision. I am a FlyBy Promotions Blogger and received 90 Minutes in Heaven for the purpose of facilitating this #HopeLives advertorial. As the owner of this blog, niecyisms and nestlings, I am compensated to provide my opinion on products, services, websites and various other topics. This blog may contain affiliate links. Even though, as the writer/owner of this blog receiving compensation for posts or advertisements, I will always give my honest opinions, findings, beliefs or experiences on those topics or products. This blog abides by word of mouth marketing standards. I believe in the honesty of relationship, opinion and identity. The views and opinions expressed on this blog are purely my own. Any product claim, statistic, quote or other representation about a product or service should be verified with the manufacturer, provider or party in question.